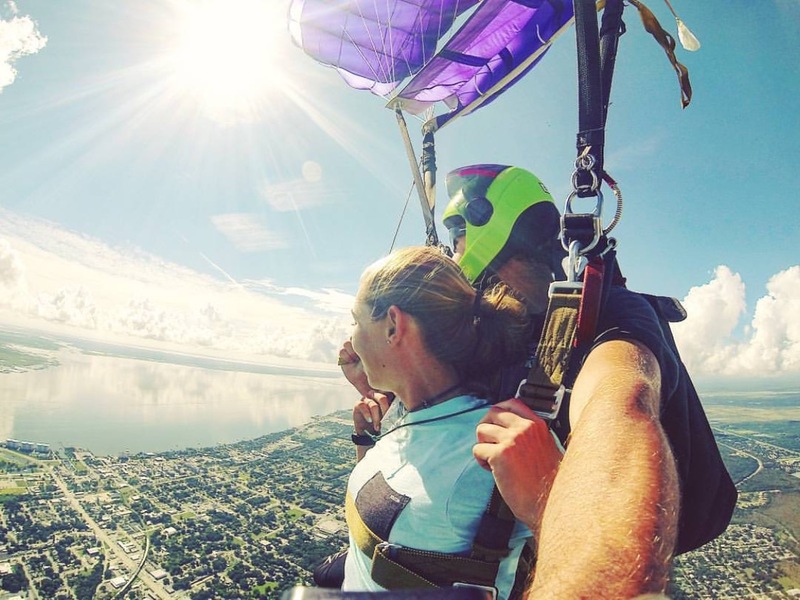 Come experience the thrill of Central Florida Skydiving over the beautiful Space Coast just a short drive from Orlando, Florida. At Orlando Skydiving Center, we offer everything you need to tandem jump in central Florida, including professional skydiving video services. We have an incredible view of the entire Space Coast. During your ride to altitude you will be treated to a scenic view of the Atlantic Ocean, the Indian River, and the Kennedy Space Center including all the launch sites and the main shuttle assembly building. We usually fly directly over the Space Center runway where the shuttle lands. The most exciting experience of your life is waiting for you now. Come see what it’s all about! Can I Bring My Own Action Camera? Do you have questions about a Groupon?